In the battle for fashion shoppers in natural search, research by I Spy Marketing shows that ASOS is trouncing the competition. The e-tailer appeared in the top ten for 66 out of 72 generic fashion search terms in Google – Amazon was the second best performing retailer followed by Debenhams. The Fashion Sector Report found that fashion brands and luxury clothes sites, with the exception of Net-a-Porter, were absent from the results. Wikipedia dominated the search terms, but as we have previously reported this is due to a number of reasons including its domain authority and unique content. I Spy also estimated the amount of traffic each site would get as a result of its natural search rankings for 60 generic clothing keywords. 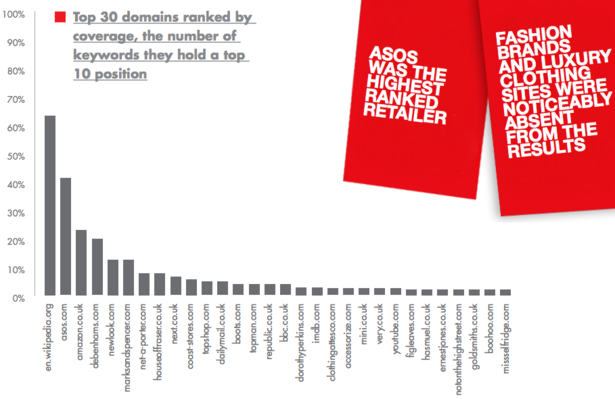 Again, ASOS led the retail sites with 8.2m clickthroughs, while Coast, Debenhams and House of Fraser continued to hold a top ten ranking with 3m, 1.8m and 1.8m respectively. I Spy notes that while young fashion brands and luxury retailers fail to make an impact on the results, informational sites and niche accessory retailers perform well for SEO. The report also examines which brands feature most in paid search results. It found that e-tailers featured more prominently in paid search terms for womenswear compared to multichannel retailers. 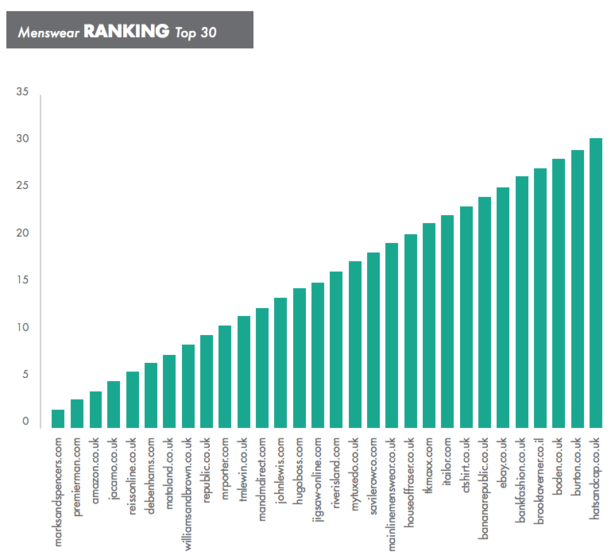 It is also notable that there are no luxury brands in the top 30. Looking at menswear, the results showed a mixture of department stores, pure plays and high street stores investing in paid search. In contrast to the paid results for womenswear, luxury e-tailer Mr Porter and Amazon achieved high rankings. For more information on search tactics check out Econsultancy’s SEO Best Practice Guide. Similarly, our SEO Agencies Buyer’s Guide 2012 contains profiles of 36 leading UK agencies, as well as advice about how to find the right agency.